Two more sleeps until Christmas! Yaay! Using heat on our hair can be damaging. That's why it's very important to look after it. 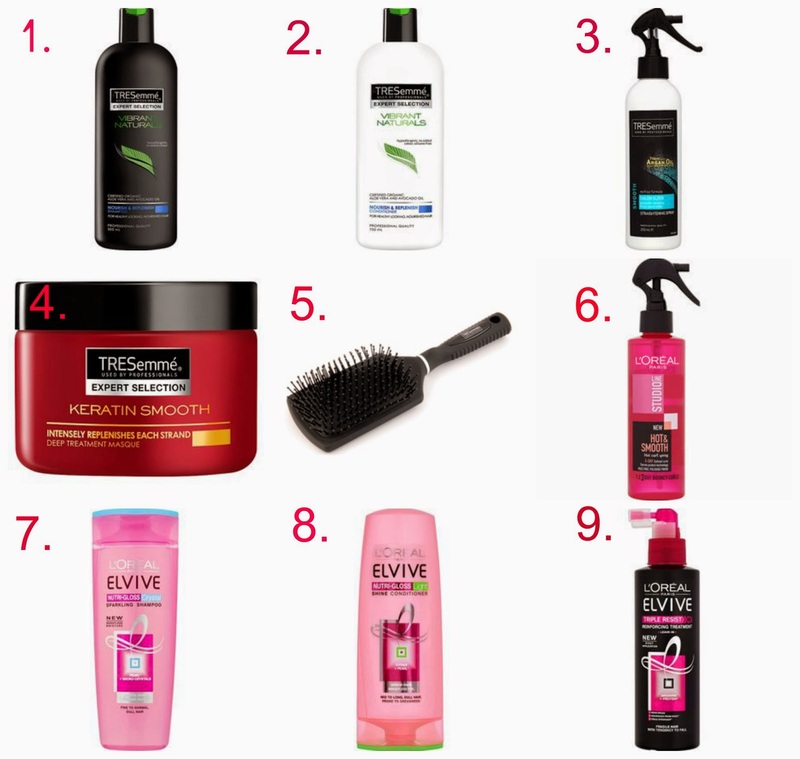 Here are some of my favourite Hair Products that I love to use. They will most definitely leave your hair in tip-top condition! A shampoo great for all hair types! One of my favourites! This conditioner is amazing! I tend to leave it on for five minutes and it makes my hair super soft! Perfect for when you're using straighteners. From time to time I like to give my hair a deep nourishing treatment, I have found this one to be the best so far. Paddle Brushes are perfect for using on long thick hair like mine. Especially while straightening it. After curling your hair, use this spray. It will hold the curl in a bit longer, therefore you won't have to curl your hair every day. This Shampoo is another favourite of mine, it really does leave your hair super shiny. Another great go to Conditioner! Stops your hair from becoming weak from the heat. When you can, let your Hair dry naturally. Avoid using Straighteners/Curling Tools everyday. Never tie your hair up too tightly. Use a Brush that suits your type of hair. I wouldn't mind trying out some waves in my hair like yours. I'm glad products like these keep my hair from getting damaged after using curlers. I get keratin treatments in my hair, so I have to use special products. I need protein shampoo and conditioner. I really like how curly/wavy your hair is in the picture. Sometimes I don't stay with the same product as I like to switch things up a bit. I do use the Studio Line Curl Spray. Your hair looks great. These all look like great products. I need to try the Curl Spray. These are all great products. I have been using Tresemme products for years. Your hair looks great. You listed some great products! I actually tried many of them and love it especially Elvive. I feel like when I switch my hair goodies up every other month or so it gives my hair a big boost. I'd love something to tame it. 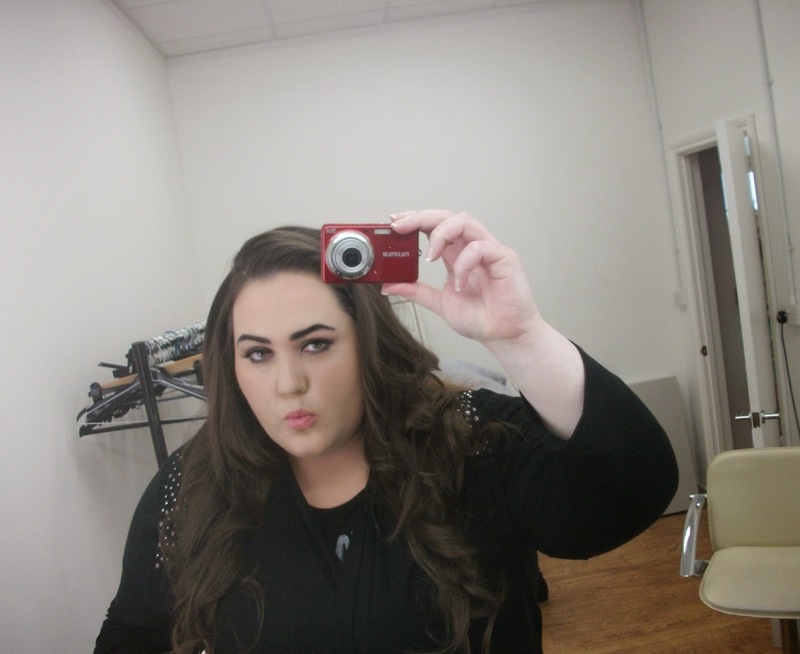 It's thick and wavy/mind of its own haha! I'm growing it out long in layers and am trying to take excellent care of it. Def. want to try #4 and 6. You have such beautiful hair! Wish mine is as cooperative! I'm growing my hair ( again ) so I can curl them. I hope I don't get bored in the process while waiting for it to grow long. But hey, all these products are awesome. I also swear by TRESemmé. And, I'd like to add Organix to your list. You should check 'em out coz not only do they smell good, but they've been working a lot of magic for my locks. Your hair is beautiful! I'm going to check out some of the products that you shared. My hair is naturally curly and some products help the curl, others kill it. Thanks for sharing! I'd like to try the leave-in spray. My hair gets so dry during the winter months. It'd be nice to have something to keep it more on the healthy/soft side. Tressemme is one of my favorites. I typically ONLY use that brand. IT is so good! I love bee and bumbles salt spray for those days when you simply don't have time to style - I'm lucky (or so I'm told) enough to have naturally wavy hair and the salt spray gives it added texture! My teens and I love Tressemme products. Thanks for sharing your favorites. I've never use L'Oreal Elvive products but now I want to try a few of them!